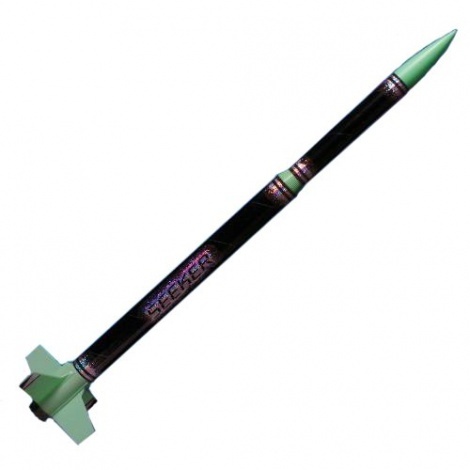 This tall sleek kit from the Quest Quick Kit range of model rockets is ready to launch in 15 to 45 minutes. The kit comes with colour-coded parts, moulded fins, a blow-moulded nose cone and Kevlar shock cord recovery system. Some assembly is required.